This glass-bottom boat tour takes you snorkeling much further south than many other snorkel boat tours, to the best locations at El Cielo, Colombia and Palancar reefs. 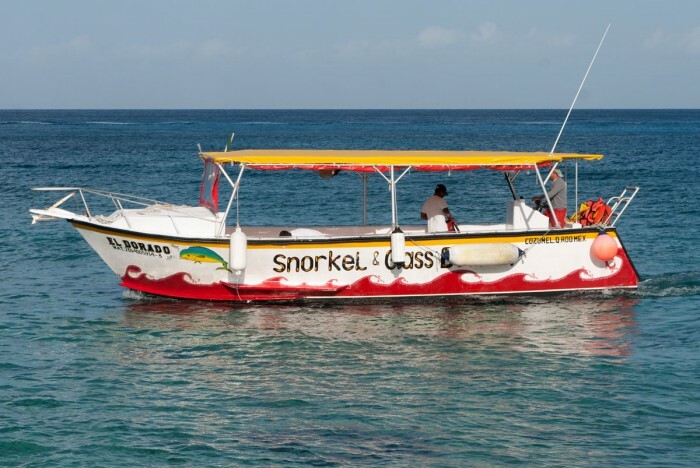 Made for real snorkel connoisseurs, this you'll go to beautiful locations away from downtown and the cruise terminals. 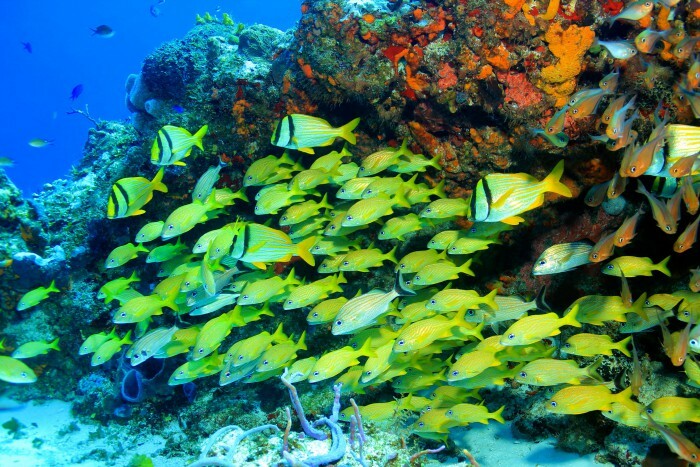 Jump into the crystal clear waters where your qualified guide will show you the magnificent reef formations, colorful tropical fish and Cozumel's other forms of exciting marine life. Those that prefer to keep dry can take a peek underwater through the "glass-bottom" window in the boat instead. Your first stop will be El Cielo - meaning "Heaven" in Spanish - in just 4 feet of turquoise water with a soft sandy bottom. 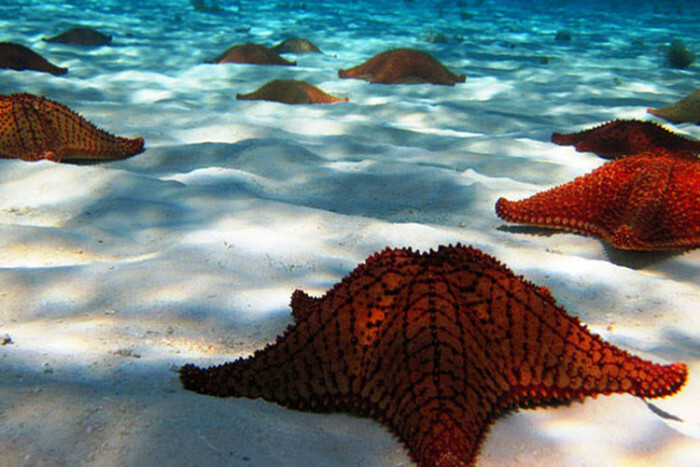 Here you can get used to your equipment and look for the location's famous starfish. 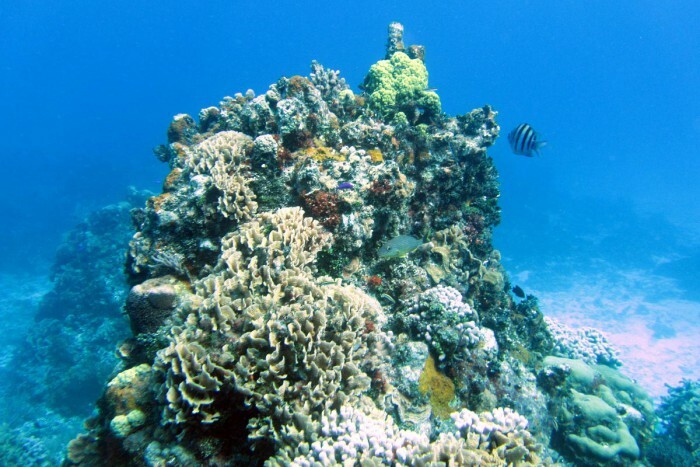 Next up are the captivating reefs at Colombia and Palancar where you'll drift over an incredible variety of soft and hard coral and be surrounded by colorful Caribbean fish. If you're lucky you might even see a ray, turtle or clawless lobster. Relax onboard between snorkel stops and enjoy the views of Cozumel's beautiful coastline. 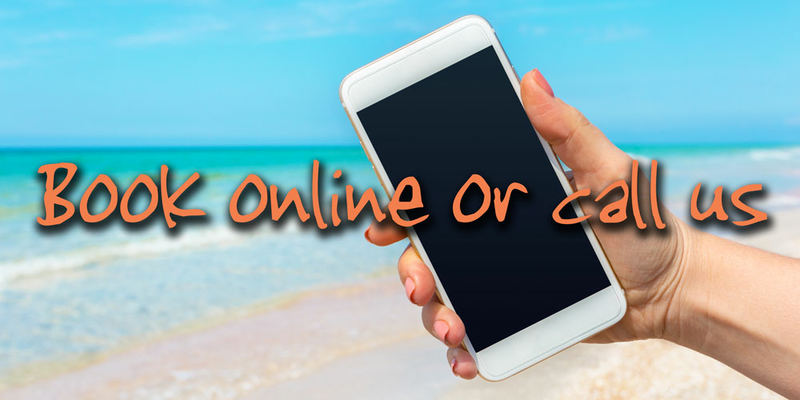 Soft drinks and beer after snorkeling are all included, as well as good quality snorkel equipment and life vests. All boats have shade, sun-deck and bathrooms onboard. We also offer a private version of this tour in small boats for up to 4 people. "Outstanding crew very safety conscious. We never felt rushed which added to our experience." "We saw a sea turtle! 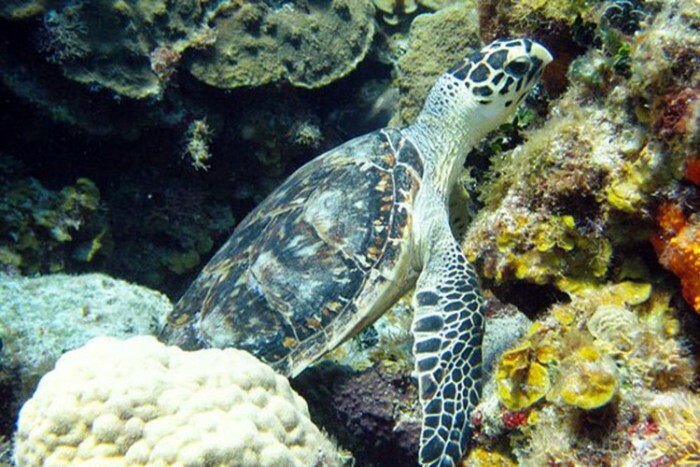 It was a great tour and I definitely recommend them to anyone who loves to snorkel." 3½-4 hours, inc. approx. 60-75 min. in water snorkeling in total. No age limit but see Restrictions for more details. Meet at the Fonatur Marina, all taxi drivers will know it and you can find it on Google Maps here. Equipment is not available for infants, but you are welcome to bring your own. Infants must be under the supervision of an adult at all times and are the parents' responsibility. One infant is allowed for each 2 adults. Under 5 years. One per couple.